The shattaf bidet is a glazed ceramic sanitary device with a sprayed water supply system and drainage system for washing human excretory organs. According to the washing water spray method, it is divided into direct injection type, oblique spray type and front and back cross spray type. The bidet is also known as a bidet. Many people think that only women can use it. In fact, everyone can use it. Used by healthy people, it can be cleaner and prevent diseases. For those special people, such as inconvenient to take a shower every day, convenient to not complete the wiping action, too obese, post-operative patients, pregnant and postpartum women, acne patients, women in physiological period, etc., more need to use the net Body to complete the necessary cleaning. 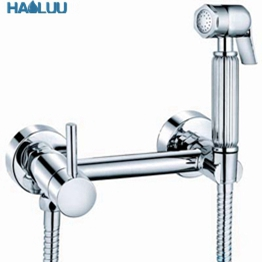 In addition, it is healthier and more convenient for the partner to use the bidet before and after intimacy. What are the types of bidet models? There are generally three types of bidet: the appearance is similar to the toilet, the ceramics are installed separately next to the toilet, the toilet cover is shaped, can be directly attached to the toilet, and the other is also the toilet cover shape, which is integrated with the toilet. .
Stand-alone installation, generally with the style of the toilet, also has floor-standing and wall-mounted installation. 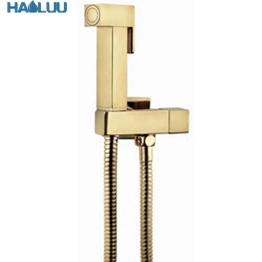 In terms of the water outlet, in addition to the installation of a special bidet faucet at the back of the bidet, there is also a way of vertically venting water in the center of the bidet basin, and the function of increasing the rinsing of the inner wall. The cover type is installed on the toilet, and the nozzle can be extended in the center of the rear. There are double nozzles or single nozzles to choose from. The right side is the button that controls the function of the bidet. The biggest difference between the cover type and the independent installation of the body cleaner is that it can provide various functions, such as heating of the lid, changing of the water spray method, drying after washing, and cleaning method for women. . Some are also equipped with cable control, which makes them more comfortable to use. After going to the toilet, simply wipe it with toilet paper and then change to the side of the bidet. First turn on the faucet. The direction and strength of the effluent may be completely different due to different water pressures, so be careful to avoid getting wet. After the water flow is adjusted, you can sit down or face the wall and start flushing. When you use it at first, it may be difficult to find a suitable angle. You have to use it several times before you can adapt. You can also use a faucet to fill a pool of water and help with cleaning.